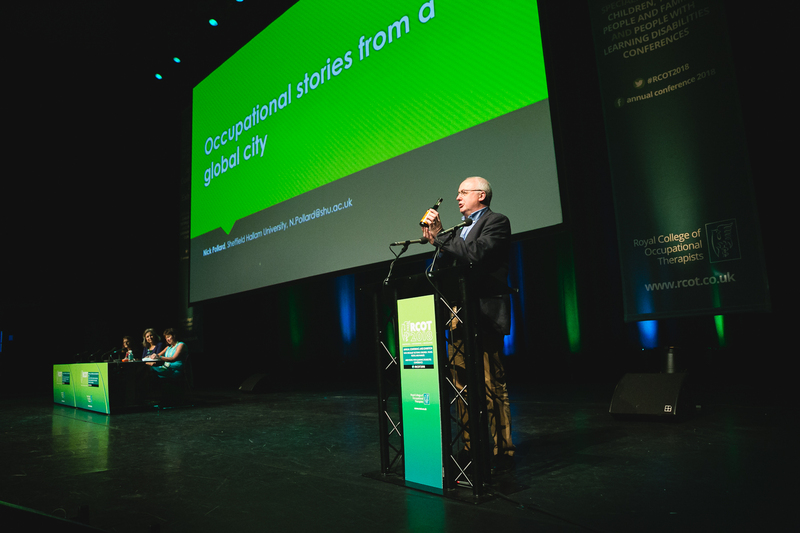 Dr Nick Pollard became the 46th person to deliver the Elizabeth Casson Memorial lecture at the Royal College of Occupational Therapists conference in Belfast this year. Dr Pollard, senior lecturer in occupational therapy at Sheffield Hallam University, is recognised for his promotion of social inclusion at a local, national and international level and his known for his publication “Occupational therapy without borders: Learning from the spirit of survivors” (2005). 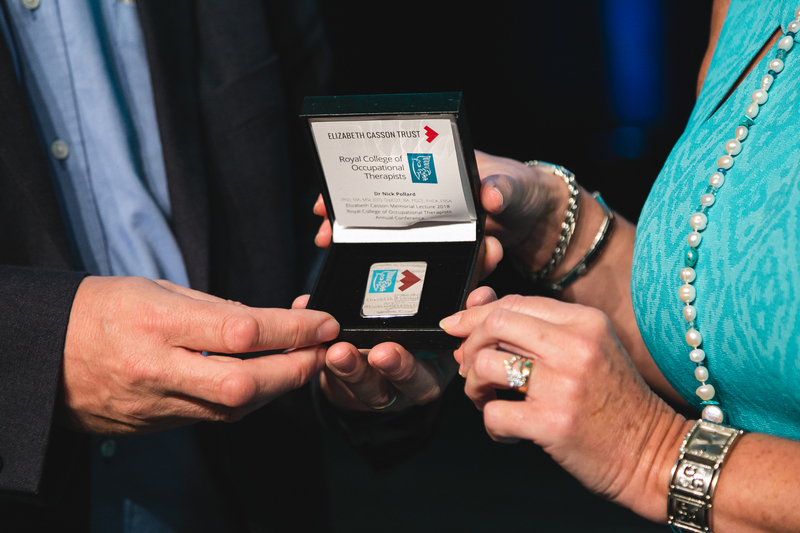 Following the lecture, Dr Pollard was presented with a memorial lecture pin by Julia Scott, Chief Executive of RCOT.